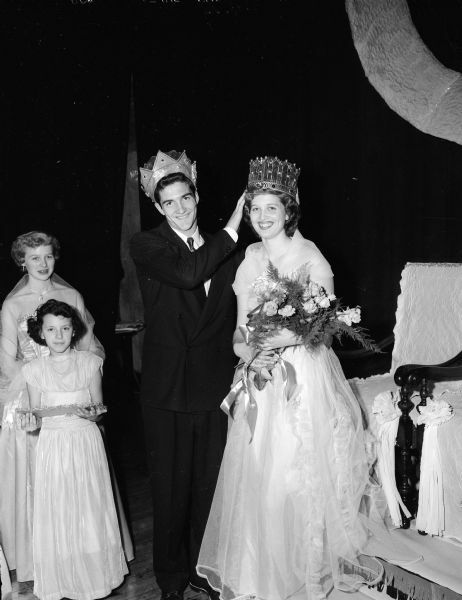 Central High School homecoming king Gilbert Pond places a crown on the homecoming queen, Marilyn Krask. In the background are two members of the queen's court and the throne. Published in Wisconsin State Journal October 27, 1951.